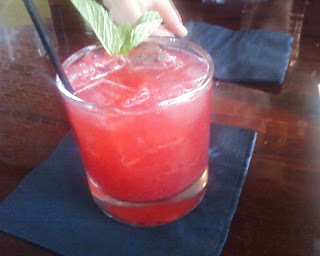 which is a Jamaican rum drink muddled with blueberries, Cherry Heering, and lemon juice. Quite tasty! I also discovered that they offer a 3 course lunch for $22, which I did not know from looking at their website. Note to restaurants- you really do want to let the public know about that stuff. Coquette also has $5 glasses of wine (applicable to all their offered wines by the glass) on Wednesdays and $5 cocktails(applicable to all their specialty cocktails) on Thursdays. Anyway, I ordered the three course meal. 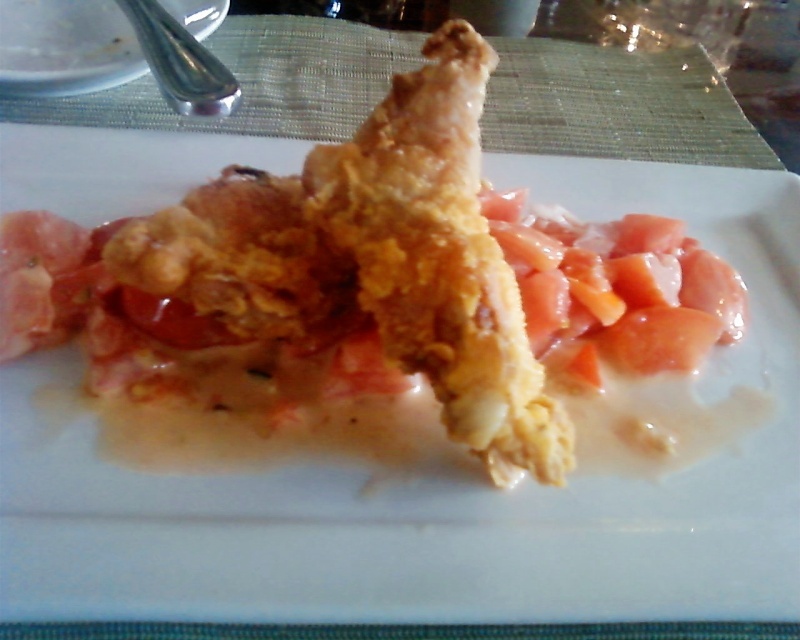 First up was the fried quail with the creole tomato remoulade with sopresetta. It was pretty tasty- the crispy fried quail contrasted nicely to the soft and subtle tomatoes with the equally subtle remoulade dressing. I'd have liked to have more sopresetta included, it was a salty bright point that I definitely missed in the bites I had without it. Never ever thought about frying quail before, and I approve! 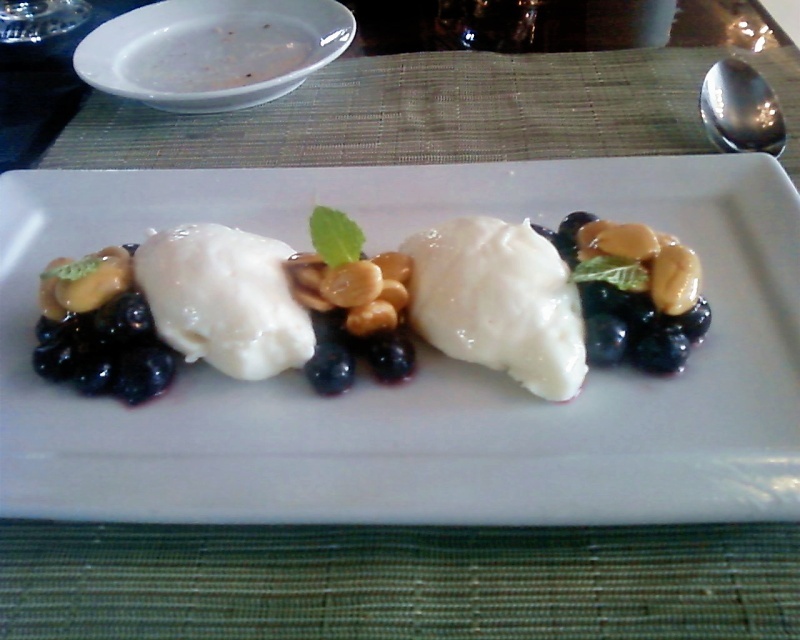 Next up was the entree, which I'd enjoyed before, on my first visit to Coquette- I'd had dinner there the weekend before we moved down, when I was looking at apartments. 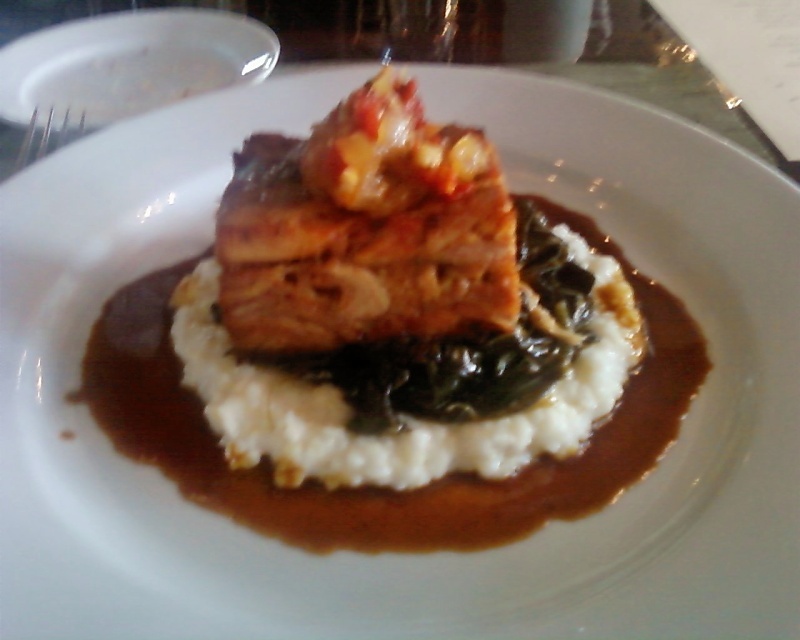 It was the cochon de lait atop collard greens, grits, and a pork jus. Had a caponata on top, which was vinegary/pickled enough to cut some of the richness of the pork, which had been slow cooked, pulled, and reformed into a brick shape and seared to create a wonderful crispy pork exterior. The collard greens held a bit of sweetness which was just delicious, and I suspect crack might just be an ingredient. 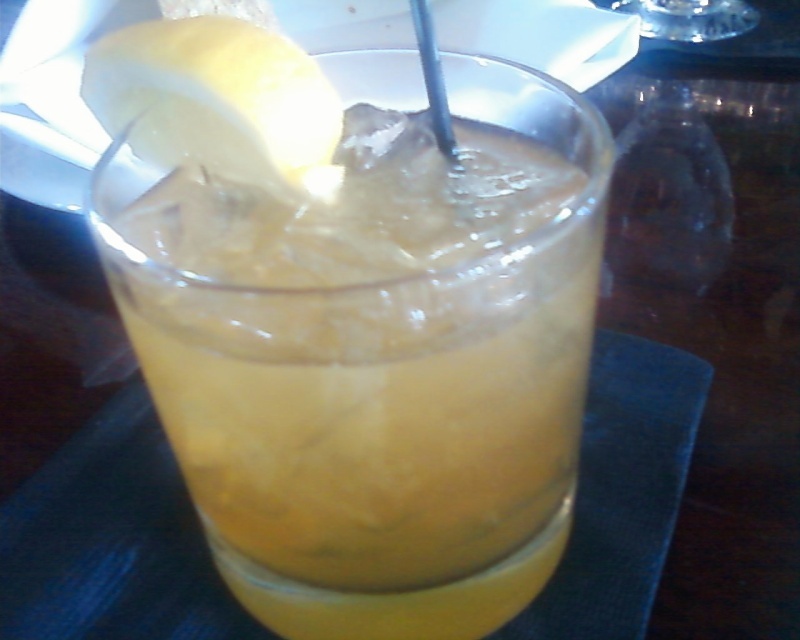 Bourbon, Benedictine, allspice dram, honey, and lemon. Very different from my previous cocktail, but just as satisfying. 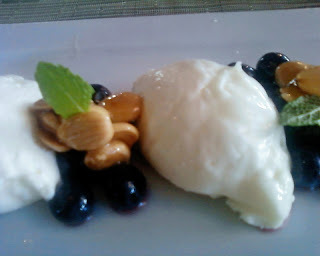 I'd had both the desserts on offer before, but I chose the goat cheese mousse with blueberries, marcona almonds, and honey over the beignets with the chocolate pot de creme. I am not sure why, but it was probably better that I stuck to only one fried dish for the afternoon. It was pretty quiet for the most part at the bar, and I was able to chat with the bartender, Allie, for a little while, about local places to eat and cocktails and the Swiffer Wet Jet. A guy came in as I was eating my dessert course and also ordered the 3 course meal (he had the corn soup, cochon de lait, and the beignets) and I heard him snapping pictures of his food with his phone (as I had been doing.) 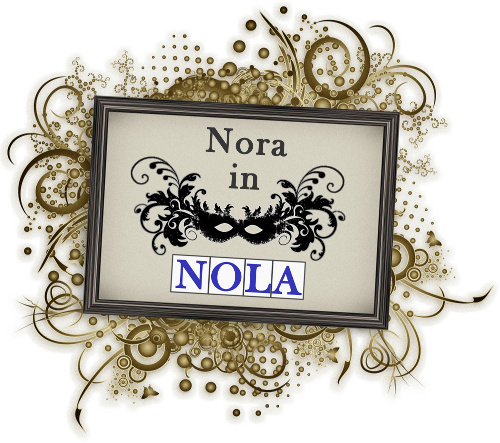 Perhaps a fellow blogger?? On my way home I was passing my neighborhood park at the corner of Chippewa and Second, and I saw a little bird (a starling?) trapped in a ziploc bag, where he'd gone in to get some crumbs. I went down the block to get in the park to let him out. Poor guy, he started really panicking when he saw me coming, not knowing if I was a predator or not. I opened the bag and shook him out and he flew away. I'm glad I saw him before one of the many feral cats in the neighborhood did! Then I came home and conked out, sleeping off my two-cocktail lunch.